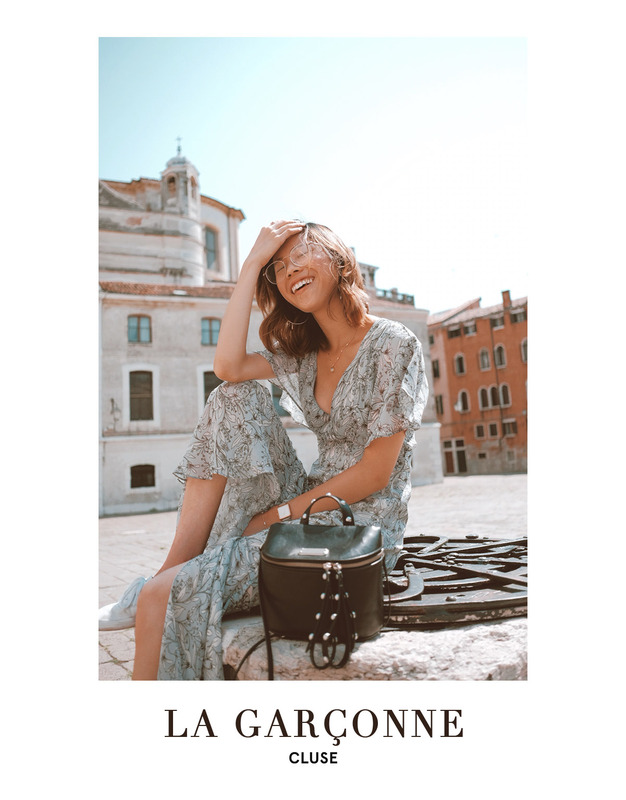 To celebrate the launch of their sparkling new line of square watches, Cluse has launched the La Garconne campaign (literally meaning fearless), to empower women to confidently express their individuality. I absolutely loved the message behind this campaign. Being part of such an over-saturated Instagram market, it's become increasingly difficult to stand out amongst the sea of similar-looking feeds. Very often we just find ourselves attempting emulating those who are successful at the expense of our own unique tastes. I have known a few blogger friends who bought presets in order to create the kind of feed that "people would follow", but in fact hate the style themselves. I do find myself getting more and more frustrated by this Instagram game. If you scroll through my feed, you'll find that I've actually changed themes about 4 or 5 times. My most successful endeavour (according to my fellow bloggers) would be my "bright and colourful" period in the last Spring, and surprisingly, it's the style I've come to absolutely despise. Why did I do it in the first place? Well I didn't start out hating it, I suppose I just wanted to try out something new. And to be honest, I was probably influenced by the more successful colour-filled (often artificially so) feeds that somehow perform magnificently on social media. I wouldn't say that I've come to regret it, because that was probably the period of my biggest growth and engagement. However, I will say that I'm glad I've grown out of that phase and into a style I truly love - vintage and faded colour. To many of my older followers, it's probably the worst direction my feed could have taken. I get messages constantly about how they prefer my previous colourful style and how my new theme looks unedited and lacklustre in comparison. So far I've been quite good at brushing those comments off. I know what I am and I'm glad that I am finally able to create the kind of images that I like and am willing to put my name behind. I really do think that I'll be able to attract another bunch of like-minded individuals who love this new aesthetic I have. The La Garconne campaign is about being fearlessly, creatively yourself. Short of it becoming an #im14andthisisdeep rhetoric, I'm not going to blast you with meaningless phrases of self love that frankly goes over my head all the time, but instead just speak of my own experience. While I still am not able to completely cancel out the diverging opinions in my head, the messages behind this campaign does often come to mind and at least gives me something to hold on to as I tentatively move forward with my true aesthetic. Photography and Editing by Hazel. In Collaboration with Cluse.